WYSAC maintains an ongoing commitment to ensure your privacy is protected. Accordingly, any Personally Identifiable Information provided by you to us when you use this Website shall be used in accordance with the conditions outlined in this agreement. WYSAC may change this policy periodically by updating this Website. You should check this page from time to time to ensure you continue to agree with the terms of this agreement. to contact you, conduct research, and provide anonymous reporting for internal and external clients, as necessary. We agree that we will not share, sell, rent or otherwise distribute your Personally Identifiable Information with outside parties, except to provide products or services you’ve requested through us, or in response to a validly-issued subpoena, court order, or other legal process, or as necessary to establish or exercise our legal rights or defend against legal claims made by you or on your behalf. Finally, we agree that we will never use or share the Personally Identifiable Information provided in any way that violates or is otherwise unrelated to the means described in this agreement, without also providing you an opportunity to opt-out or otherwise prohibit such unrelated uses. In order to use some features of the Website, you may first be asked to complete a registration process. During registration, you are required to provide certain Personally Identifiable Information, including, but not limited to the information described above (“Information We Collect”). This information will periodically be used by us to contact you about site news, updates and changes to this policy, and to enable you to retrieve your password, if necessary. So we may best serve you, you are responsible for ensuring that all Personally Identifiable Information you provide on this Website is maintained and kept current. Please note: No Personally Identifiable Information is collected with the cookies we utilize. Accepting cookies while on the Website will not put you or any other users at risk for marketing to other sites. We may collect and use IP addresses to analyze trends, administer the site, track user movement, and gather broad aggregate demographic information for reporting and research purposes. IP addresses are not linked to Personally Identifiable Information. From time to time, we may use non-identifiable aggregate information to better design our Website and to share with select partners and/or clients. Protecting the privacy of children is especially important to us. For that reason, we never collect or maintain information at our Website from those we explicitly aware are under 13, nor do we allow registration of users under the age of 13. 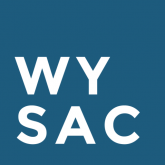 Although this agreement applies to the entirety of information obtained by you for the purpose of accessing or using content controlled and owned by WYSAC, it does not apply to entities that are not owned or controlled by us. The WYSAC Website may contain links to third party websites. Please be aware WYSAC does not claim any responsibility for the privacy practices of these third-party sites. We encourage you to be aware when you leave our site and to take reasonable precautions when sharing your Personally Identifiable Information on third-party websites. Please note: You may not unsubscribe from receiving service announcements and important content update information regarding the Website, including but not limited to: service and account changes, Website upgrades, and site cancellation or business termination information.